At the moment, the megacities of the World (such as London, New York, Paris and Tokyo) seem to be unstoppable. They sook up more and more economic activity, and it’s getting harder and harder to have a decent career unless you live in one of them. House prices keep increasing inside them, while they might very well be falling elsewhere in their host country. Young people don’t get attracted to the huge cities because life there is good – property prices are so high in them that newcomers will have to pay a fortune for a room in a shared flat with an hour-long commute. The reason young people flock to the cities is because that’s where the jobs are (and especially because you’ll be able to find a new job within your field every three years or so, which means you won’t suddenly find yourself in a employment cul-de-sac). As soon as somebody as somebody invents a piece of workplace collaboration software that companies are willing to use for their in-house staff, everything will change. Suddenly you can apply for a job in London, New York or Melbourne while living in Orkney. And when you move on, your next job can be in Paris, San Francisco or Ruhrstadt while you remain in Orkney. Once people’s normal place of work is their home (or a neighbourhood office if they prefer to leave home for work), companies don’t need huge offices in expensive locations. They can rent a hotel or a conference venue if they want to arrange a yearly get-together for their staff, or for having meetings with clients, and all they need is a small registered head office. The companies will save an enormous amount of money by getting rid of their city-centre offices (more than enough to make up for a potential fall in productivity by letting people work from home), as will the staff by being able to live in much cheaper locations. However, modern cities rely on the synergies of having a lot of people in one place. As soon as some companies and employees move out, the advantage of being in the city will decrease for the ones that remain. Why move to a city if you can get the same job without moving? Why pay for an expensive office if you can employ the same people by paying for a much cheaper piece of software instead? Once a few people and companies start moving, prices will start falling. That will make the property investors move out, too, which will make prices fall even faster — at the moment, investing in property in central London is an easy way to make a profit if you have enough money to invest — and this will presumably continue until house prices reflect the attractiveness of living in that location – and for large parts of modern cities that’s not a lot. Of course people people will still pay good money to live in a luxurious penthouse flat overlooking the Thames or the Seine, but how attractive is it really to live in a concrete high-rise an hour away from the city centre? So if I had a lot of money to invest, I wouldn’t touch unattractive residential areas on the outskirts of cities with a bargepole, but I’d try to snap up idyllic houses with good internet connections within a reasonable distance from a railway station and an airport. I also think governments should be careful not to invest too much money on prestige infrastructure projects in their capitals (Crossrail and HS2 spring to mind in the UK) and instead invest in projects such as fast Internet connections in rural areas (such as what the SNP is promising in their manifesto). 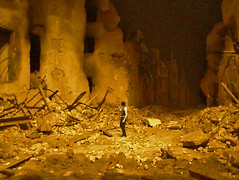 Author thomasPosted on 2016/04/23 2016/07/02 Categories en, geography, urbanplanning1 Comment on The megacities are doomed! In the past I’ve been writing about ways to split up England for the purpose of making federalism work in the UK (see this and this and this). For some bizarre reason one split I never suggested in these blog posts was in many ways the most obvious one. 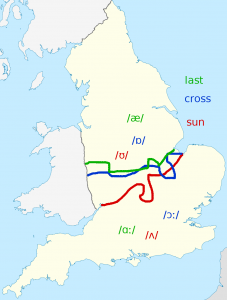 As a linguist, I’ve been aware for years that English dialects split into two main groups: Southern English south of a line roughly from the Severn to the Wash, and Northern English north of this line. (Scottish dialects are a completely different story.) 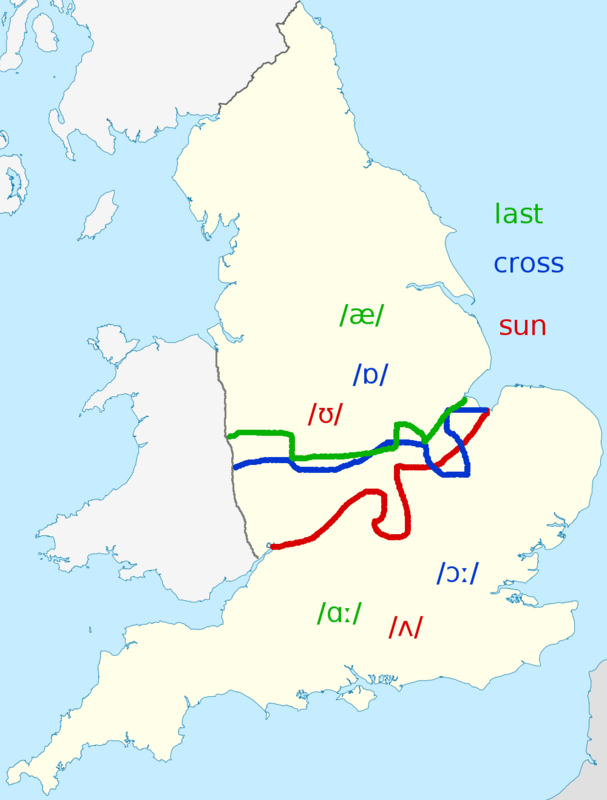 Three of the most important isoglosses are shown on the map on the right. I’m sure there are many more examples, but these should suffice to show that the Severn-Wash line is the most obvious border. North England and South England would be different in so many ways that they would quickly develop separate identities. Obviously I don’t think England will ever be divided, but the consequence is that an undivided England will always dominate the UK to such a great extent that Scottish independence becomes a necessity. Scotland – Grampian Highlands, a photo by Humpalumpa on Flickr. Iain Macwhirter recently wrote an interesting blog posting comparing the Scottish Highlands with the French Pyrenees. This sentiment reminded me of a song by Màiri Mhór nan Oran that we learnt when I attended the Gaelic summer school at the University of Edinburgh a few years before I moved to Scotland. I’ve forgotten the exact words, but I still remember her despair at seeing perfectly viable farms with replaced with sheep. I don’t know how realistic it would be to reverse the process, but it shouldn’t be dismissed out of hand. The Central Belt is overcrowded, and it would be great if people started moving back to the Highlands. I recently stumbled upon a collection of odd maps. Many of them are rather US-centric, but a few of them are really interesting, such as the one on the right which shows what’s on the exact opposite side of the planet. I also like this one which shows the distribution of the different types of electrical plugs. The front page of today’s Economist is dedicated to a story about what would happen if Britain left the EU. I can easily understand the attraction for people and businesses in Greater London (a.k.a. South-East England): London is to a large extent the capital of the world, attracting headquarters, finance and court battles from a lot of global companies and billionaires. To some extent London is to the world what Switzerland is to Europe. The kind of policies that would suit London would include almost unlimited immigration (because the high cost of living would ensure that most people would only want to go there for a decade or so), low corporation tax (because it’s better to get 1% tax from all global companies that to get 30% from a select few), privatised health care and universities (because of the number of temporary immigrants and because of the generally high salaries in London), and leaving the EU and getting free-trade agreements with the rest of the world (a position called “Freeport Ho!” in Going South). On the other hand, the ideal policies for Scotland, Wales, Northern Ireland and non-London England are in general quite different. In general, social-democratic policies (such as though pursued by the SNP in Scotland) would probably be quite popular, and it would make good sense to be a full part of the European Union. The distance between the needs of London and the rest is so great that it gets incredibly hard to govern all of the UK efficiently. Unfortunately, very few people seem to be interested in independence for London (although Kelvin MacKenzie is getting close). Fortunately, we have the option of making Scotland independent in two years’ time, which at least solves the problem up here. London skyline. Skyline de Londres. 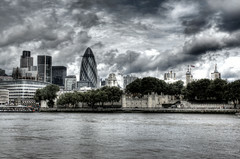 The political class in Westminster tend to look at the UK from a London perspective, and to listen especially to the needs of the City of London (i.e., the big financial institutions). Most of the British media exist in the same bubble, which is why so many topics are being discussed as if everybody in the country was making a very comfortable living working in a multinational bank in London. This became abundantly clear again yesterday, when a majority in Westminster voted to force the UK government to demand an EU budget cut, which is surely another small step towards the Brexit. In other news yesterday, it was noted that the regional divide is growing within England, and Scotland was fully preoccupied with the question of Scottish membership of the EU. The problem is that London is to a large extent a global Switzerland, and as such EU membership isn’t necessarily such a good idea — a Swiss solution vis-à-vis the EU and lots of bilateral free-trade agreements would probably suit London best. On the other hand, the rest of the UK is probably not that different from most of Europe, and although we can save Scotland through Scottish independence, I do fear for the prospects of the north of England if London takes the (r)UK out of the EU. I often think that independence for Greater London would solve even more problems than Scottish independence, but alas it’s not on offer. 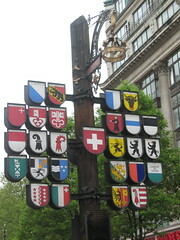 The current state of affairs is a bit like if the Switzerland and France had formed a union at some point and had moved the capital, the company headquarters, the politicians and the media companies to Zürich, with the result that both parts of the union were being run based on what was best for Zürich. I doubt most of France would have flourished in such a scenario. There’s an article on Yes Scotland’s website today about border controls in Scandinavia (or rather the lack thereof). At first I thought it was a rather pointless article, given that the absence of actual border controls is the norm in most of Europe these days. 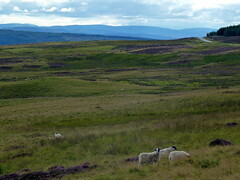 Will the Scottish-English border look like this after 2014? Author thomasPosted on 2012/09/19 Categories en, geography, politicsLeave a comment on Will the Scottish-English border look like this?